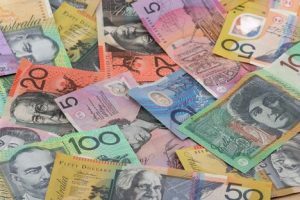 NEW YORK (Forex News Now) – Australia’s GDP grew in the September quarter at its lowest pace since the country emerged from the global financial crisis, data showed on Wednesday in a major realtime forex news event. Data released by the Australian Bureau of Statistics showed that the economy grew by just 0.2% in the third quarter, down from growth of 1.1% the previous quarter. The figure constitutes the fifth-worst quarterly result in the past decade, and was well below growth of 0.5% predicted by analysts prior to the data’s release. It was also the lowest growth in the economy since the last quarter of 2008, when GDP contracted by 1%. In currency market trading, AUD/USD was trading at 0.9620 by 7:20 A.M., GMT, up from an opening price of 0.9588, after initially freefalling to a low of 0.9539 on the GDP data.